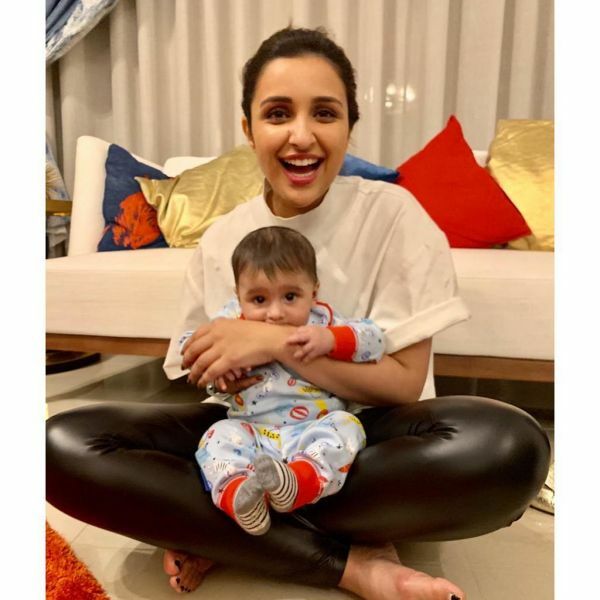 Parineeti Chopra, the Bollywood actress who was last seen in a guest appearance in Kesari opposite Akshay Kumar, just posted the most adorable picture with her baby nephew. The little bundle of cuteness is none other than Sania Mirza's baby boy, Izhaan Mirza Malik. Parineeti posted the picture on Instagram with the sweet caption, "I’m a khaala now!!!! Izzu is edible and I want to eat him, but for now I’m allowing him to eat my hand 💋💋 @mirzasaniar Can I keep this child foreverrrrrr 😍😍"
Indian Tennis play and six-time Grand Slam winner, Sania Mirza and husband, Pakistani cricketer Shoaib Malik, had their first baby, Izhaan Mirza Malik, in October 2018. 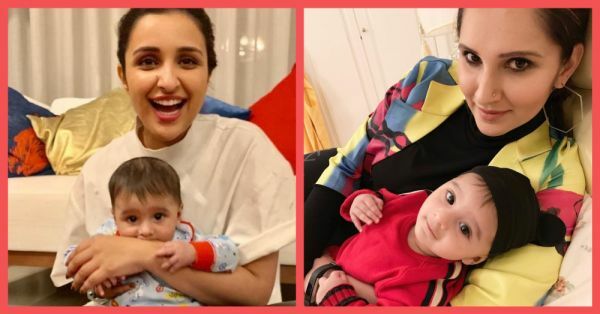 The six-month-old baby boy has found the perfect pampering aunt in Parineeti Chopra, his mommy's BFF. Parineeti Chopra's connection with the sports world isn't limited to Sania, as she will be seen playing the role of 29-year-old badminton player, Saina Nehwal. Parineeti has begun prepping for the biopic tentatively titled, Saina, and she has been practising in the court to get ready for the role. She even got a new hair colour! Parineeti Chopra told a leading newspaper that she is excited to play the role of Saina, "It’s a part of my personality, but as an actress, one that I have not explored so far. I’m delighted to get an opportunity to portray a strong and powerful girl like Saina who put our country on the world map. 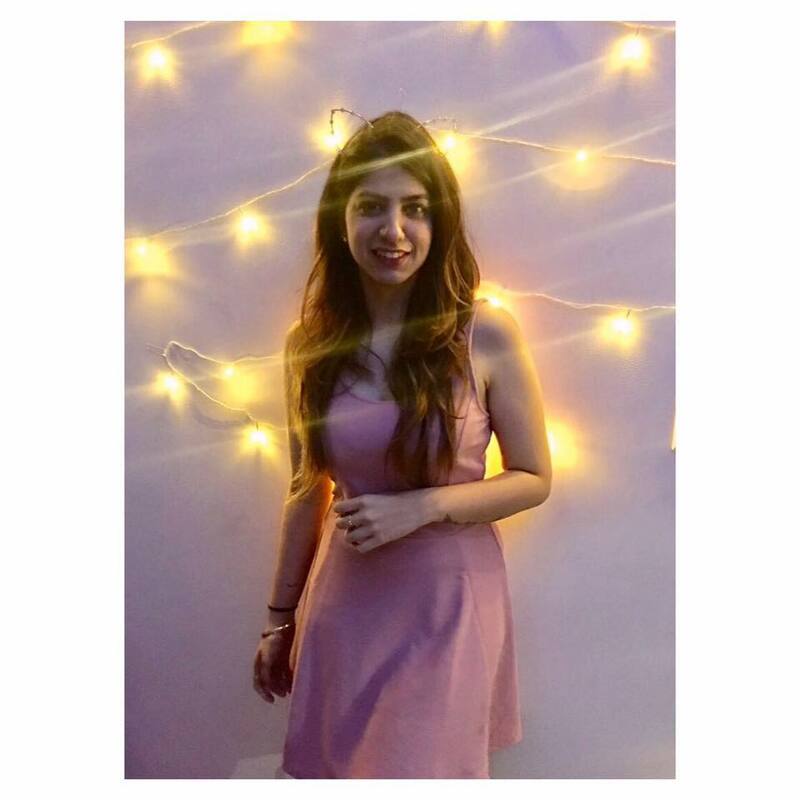 I am excited to put in all the training and hard work that comes with learning the game and portraying Saina on screen." Shraddha Kapoor was originally roped in to play Saina Nehwal in the film, and a poster of the movie was shared before Parineeti stepped in to replace the actress. Shraddha was said to leave the project due to the delayed shooting of Saina and her prior commitment to the Varun Dhawan starer, Street Dancer. Can't wait to see her on the big screen again!